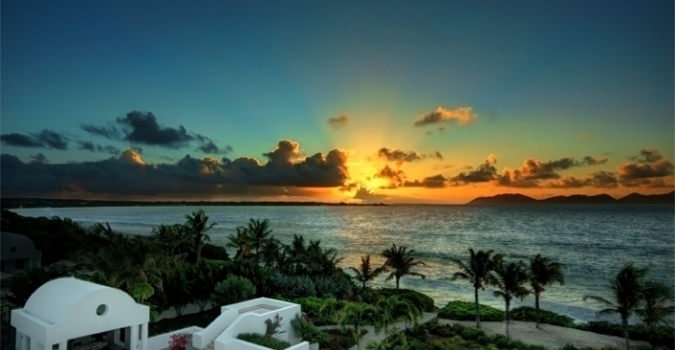 ARUSHI means "The first ray of the morning sun". 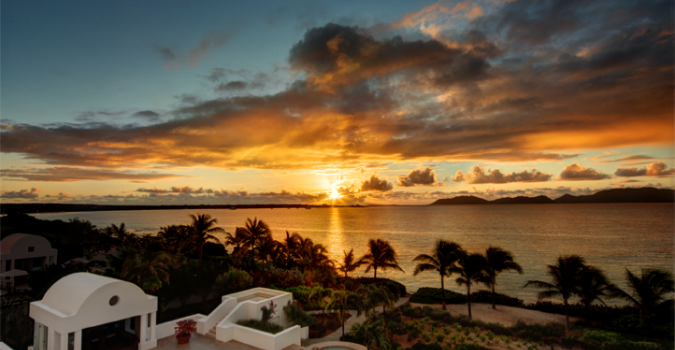 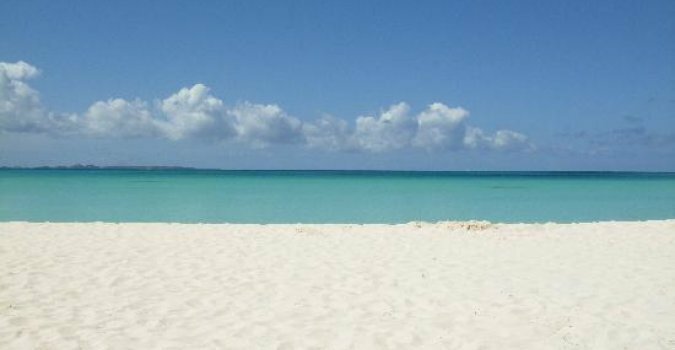 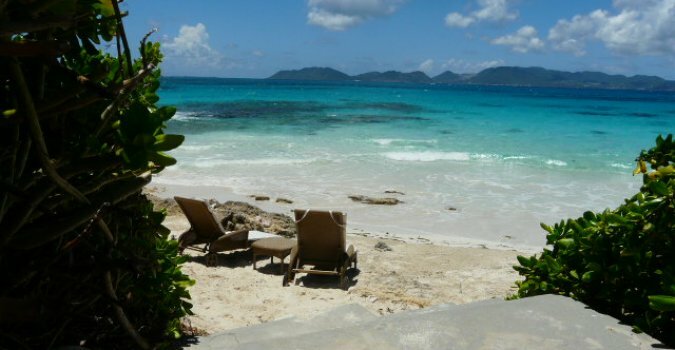 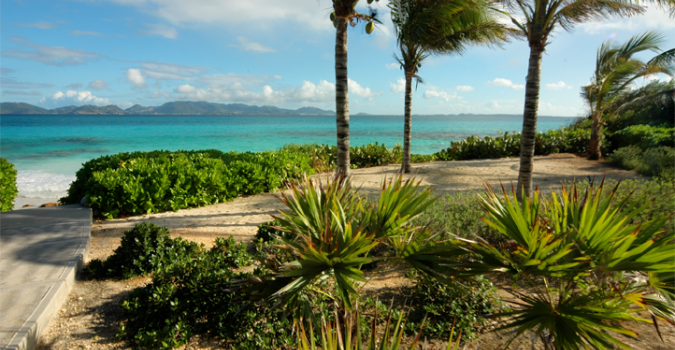 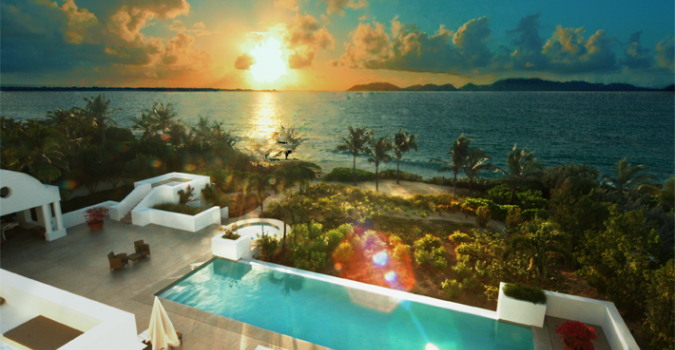 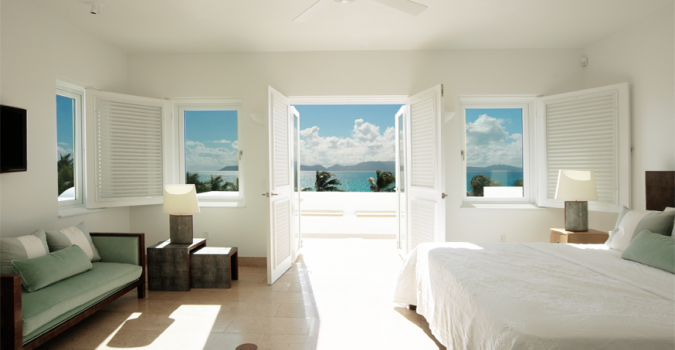 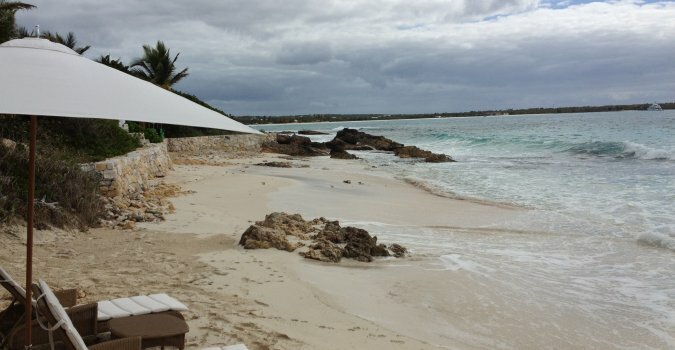 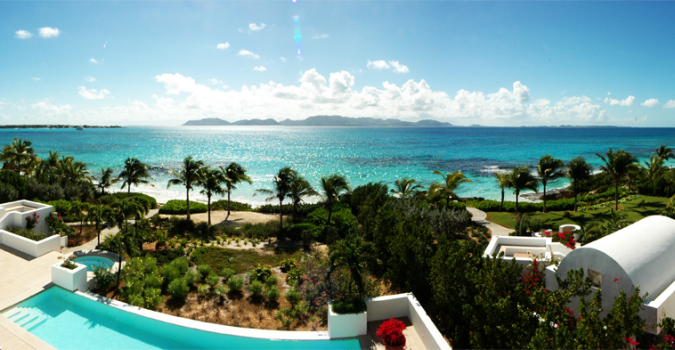 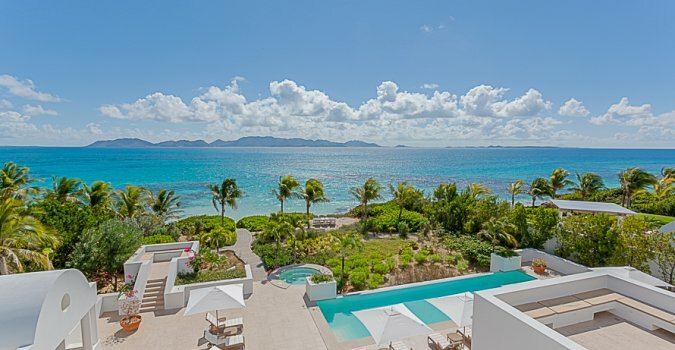 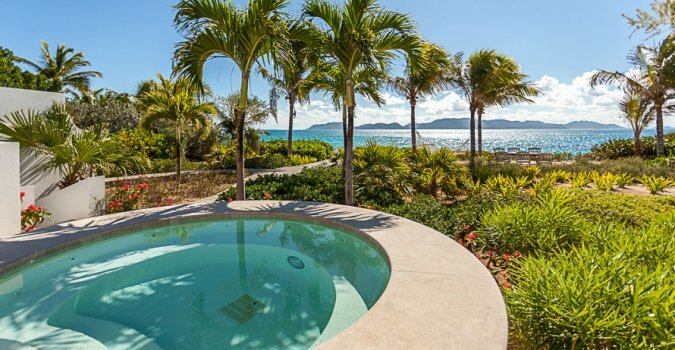 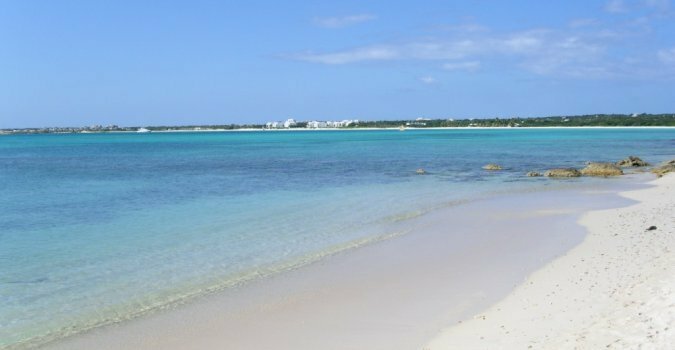 This exquisite beach front property is situated at the Oceanfront Enclave by Rendezvous Bay in the West End of Anguilla (formerly known as Temenos). 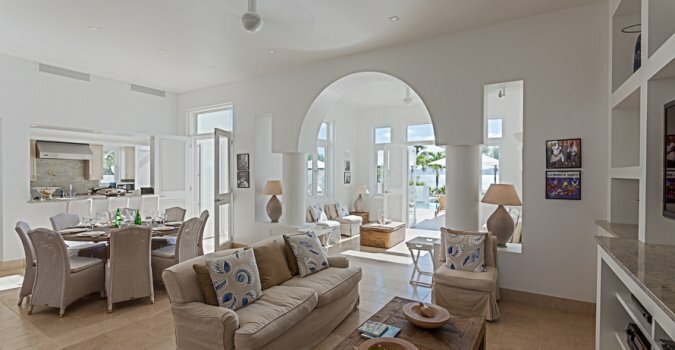 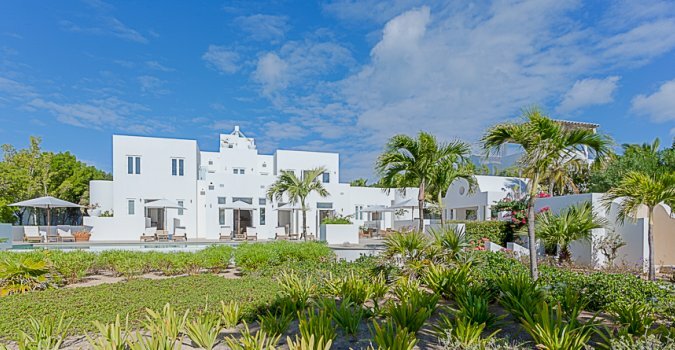 It provides the compelling combination of exclusivity of a secluded Caribbean Beachfront Estate together with the convenience and five-star amenities of a Luxury Resort. 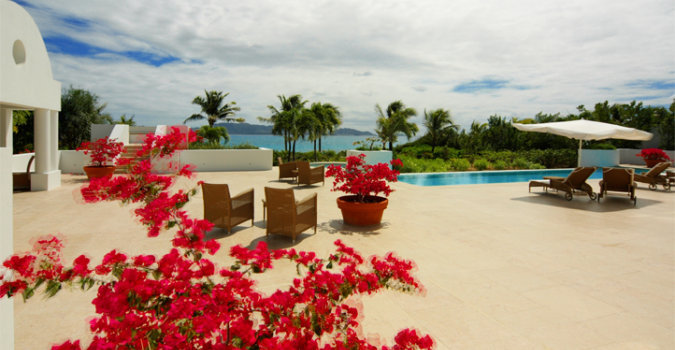 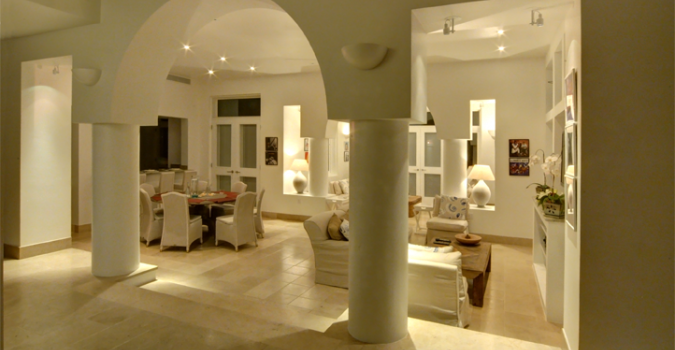 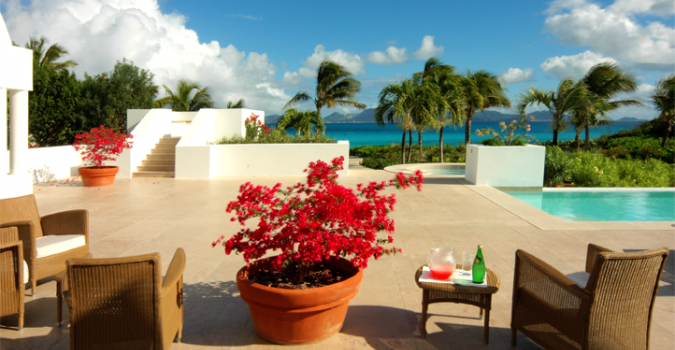 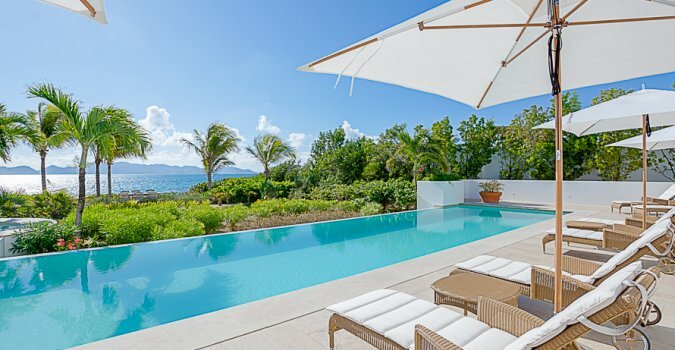 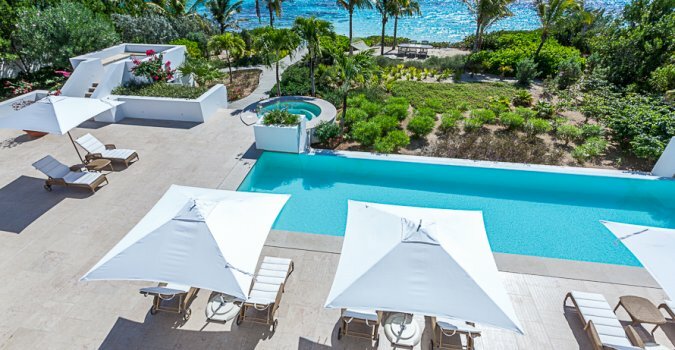 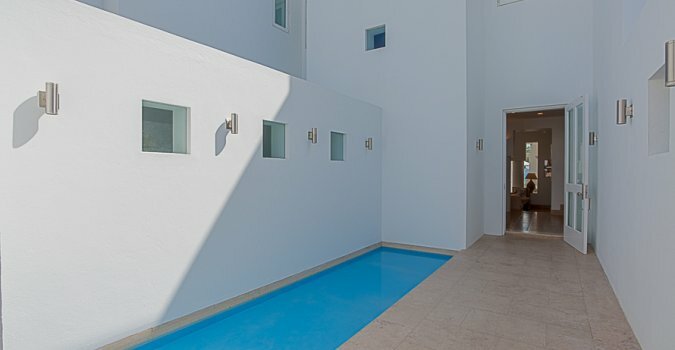 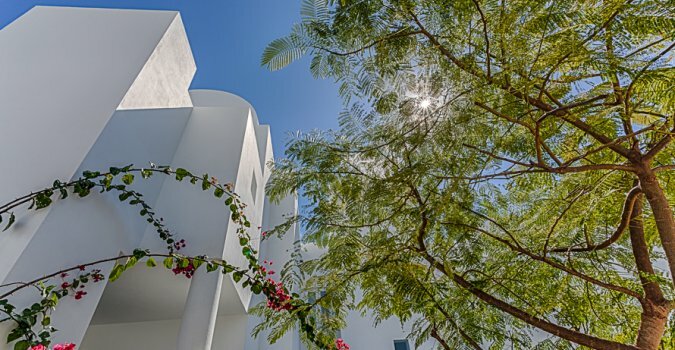 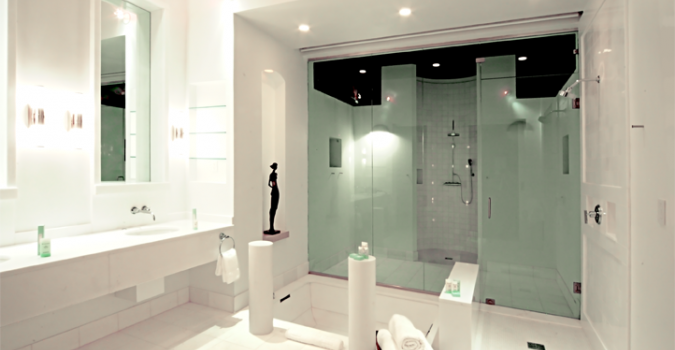 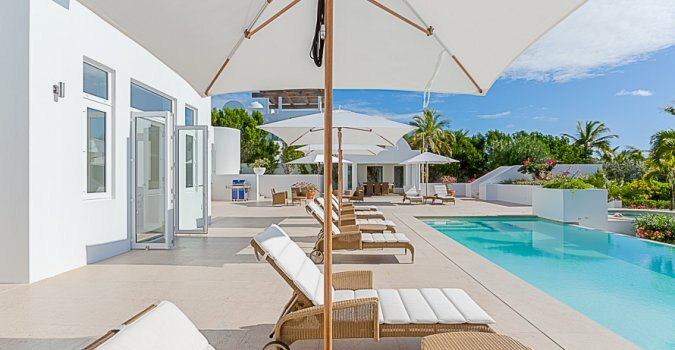 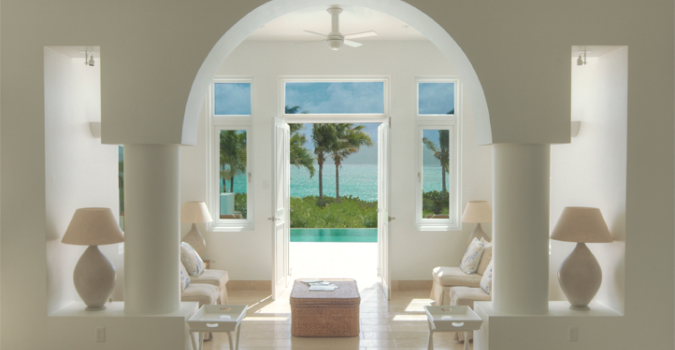 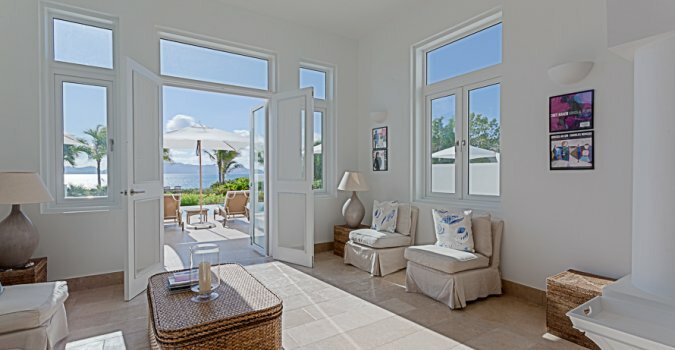 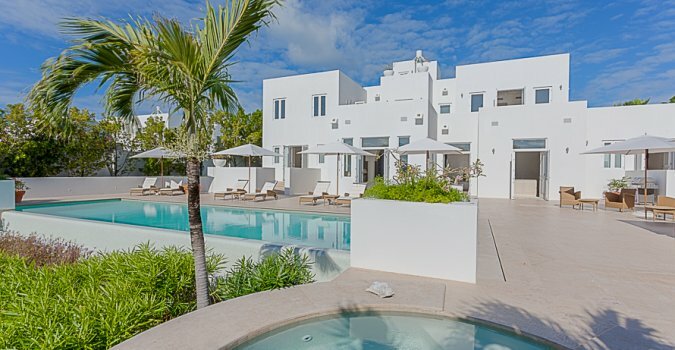 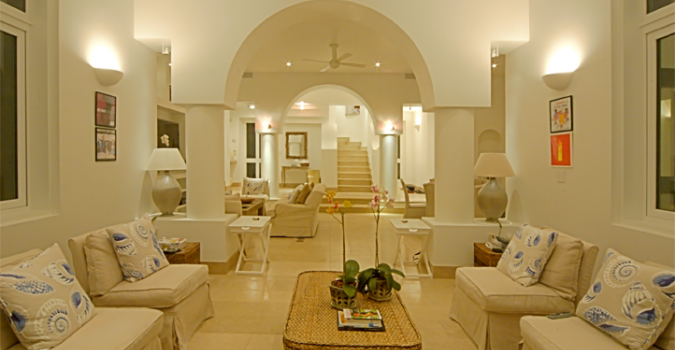 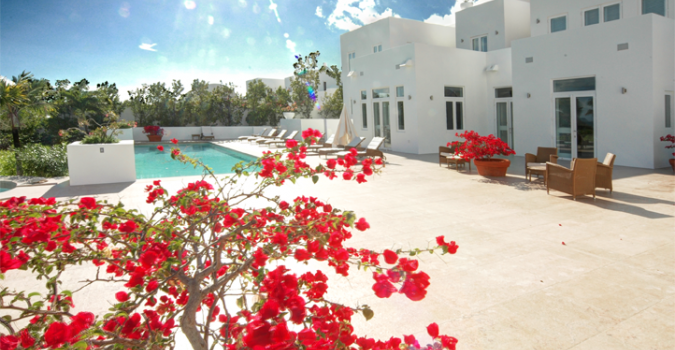 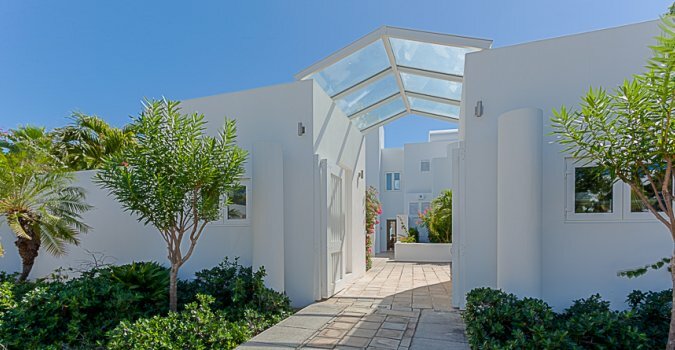 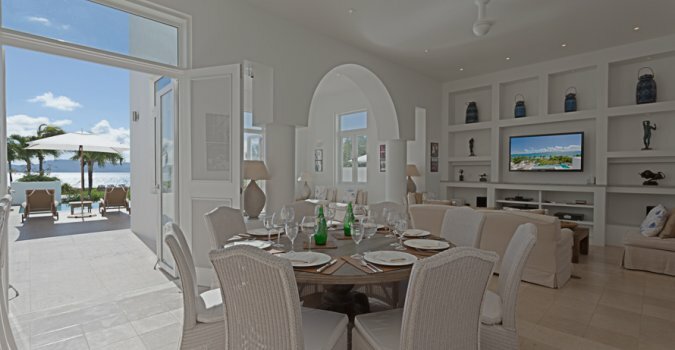 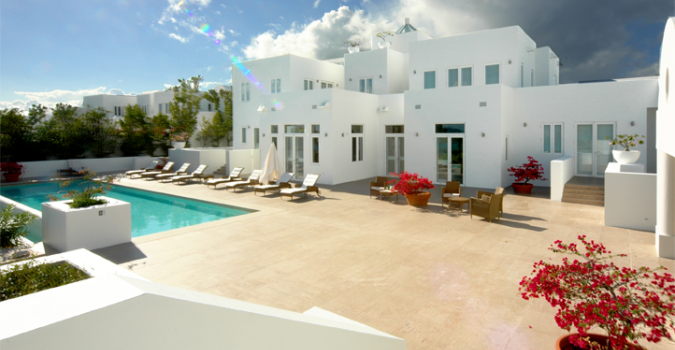 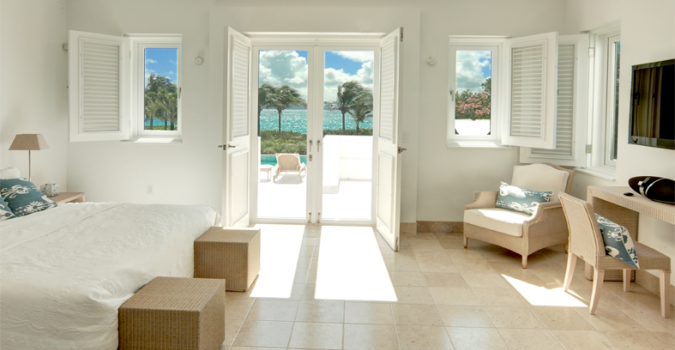 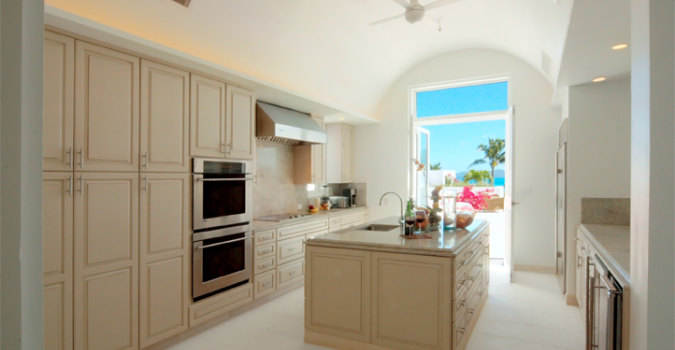 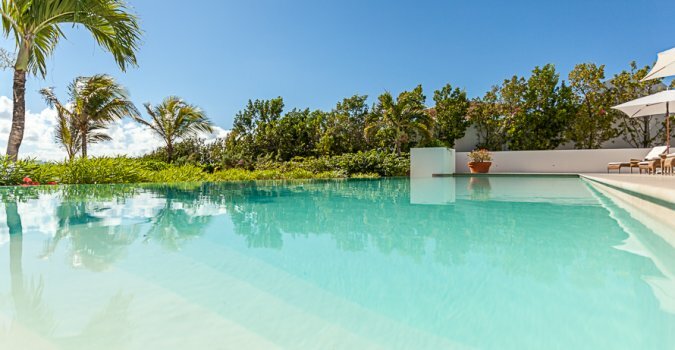 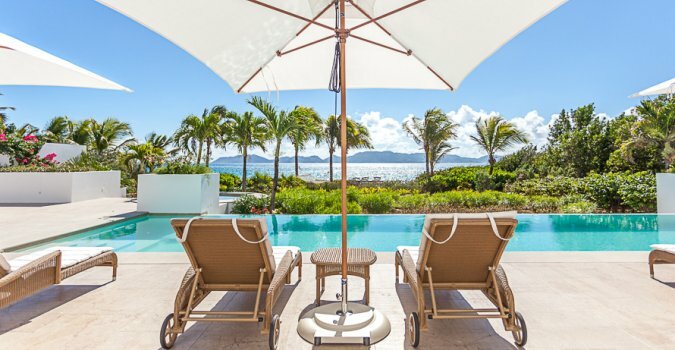 This exclusive, stunning villa is one of only 12 homes on this beautiful enclave and the only one available for your luxury Anguilla villa rental. 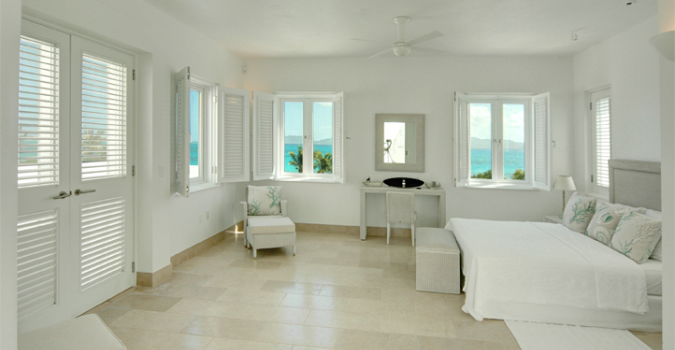 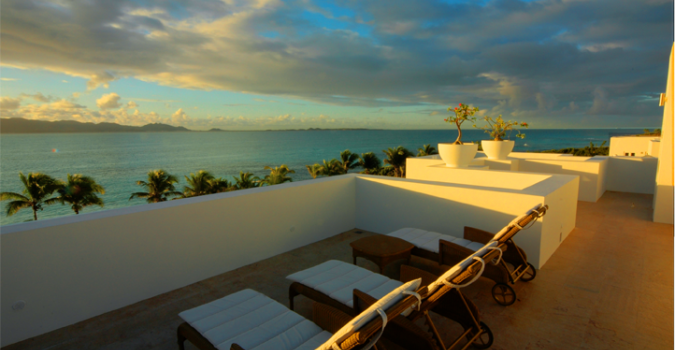 Located on a 4,400 foot long stunning white sandy beach. 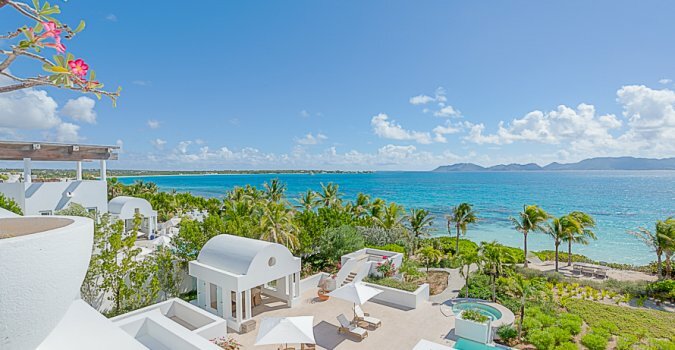 A Greg Norman designed golf course with a full service club right at your feet makes this Estate a truly one of a kind home. 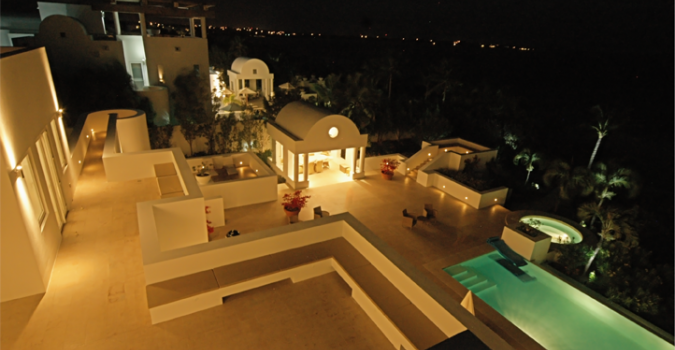 Consisting of 5,300 square feet among two levels, outside there is an area of 5,500 square foot deck with covered dining areas for entertaining or relaxing. 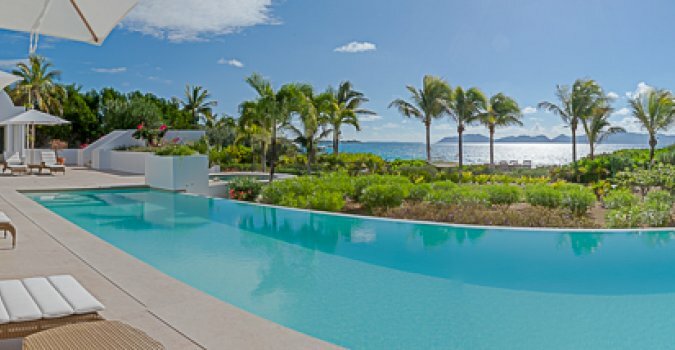 An extra large lap pool and hot tub spa are all just feet away from the stunning beach and the crystal clear waters of Anguilla. 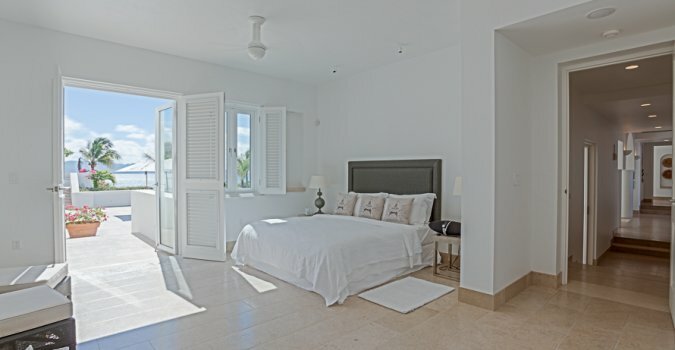 This Property has five master bedroom suites, gourmet customized kitchen, living room, dinning room, sitting room and an office to meet all your needs. 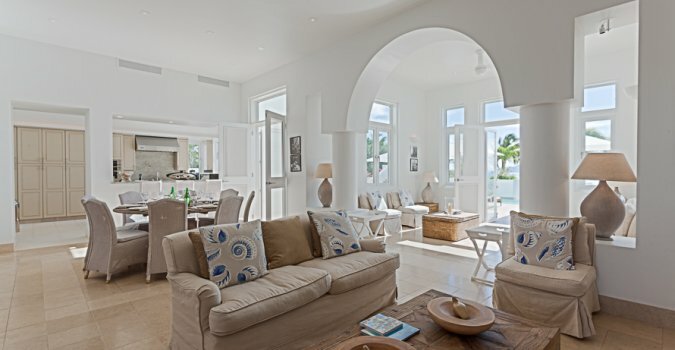 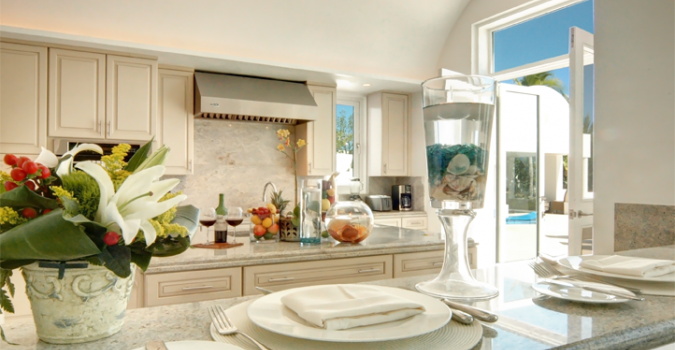 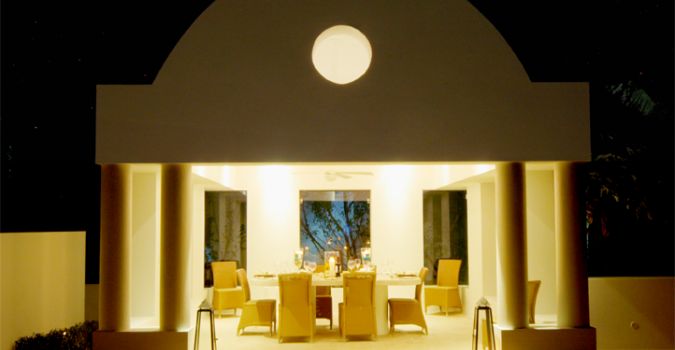 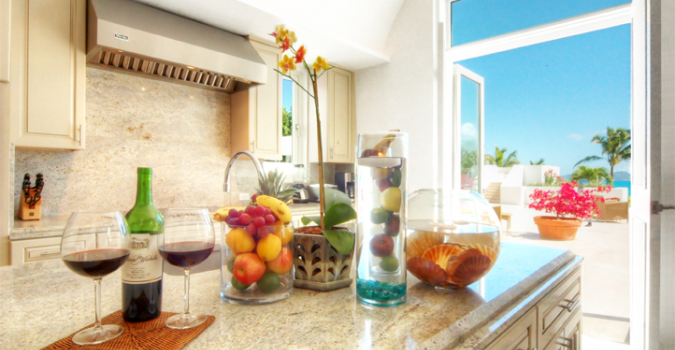 This Residence is a complete package, the views, the beach, the waters, the Greg Norman Golf Course within a gated community, Exclusive club membership, fine and casual dining with Concierge and Butler services. 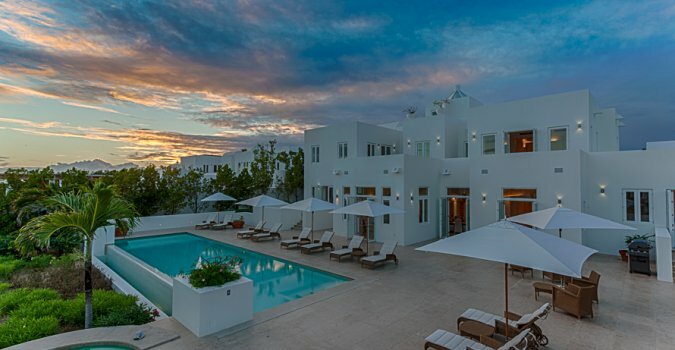 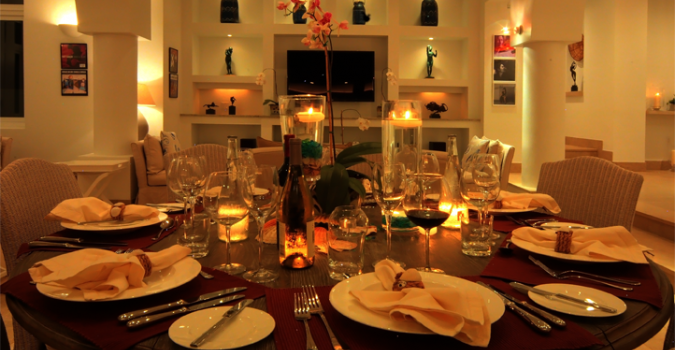 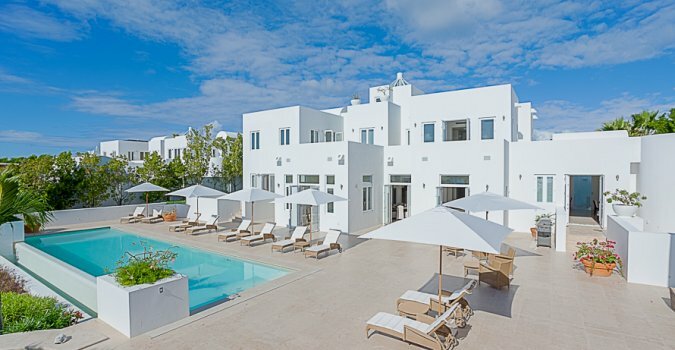 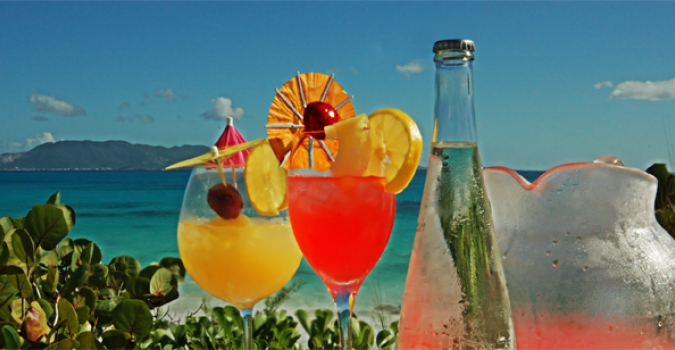 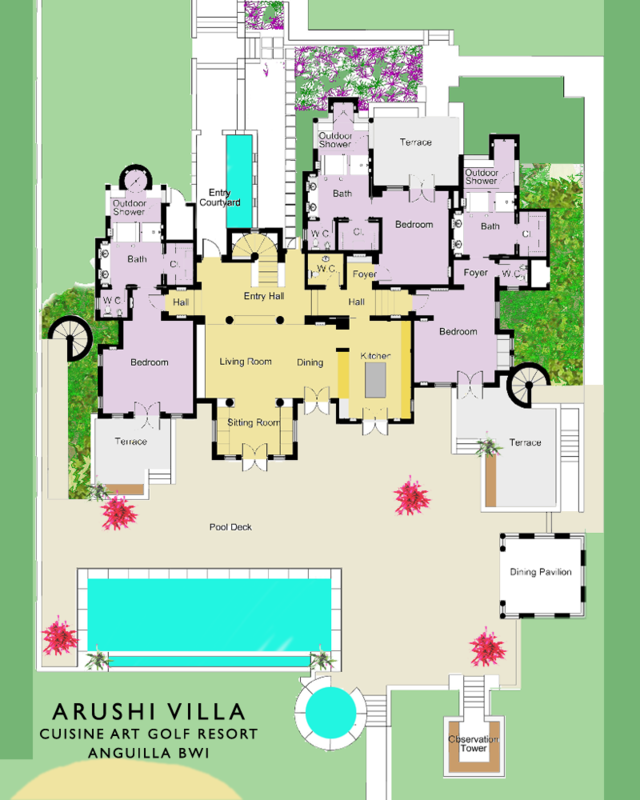 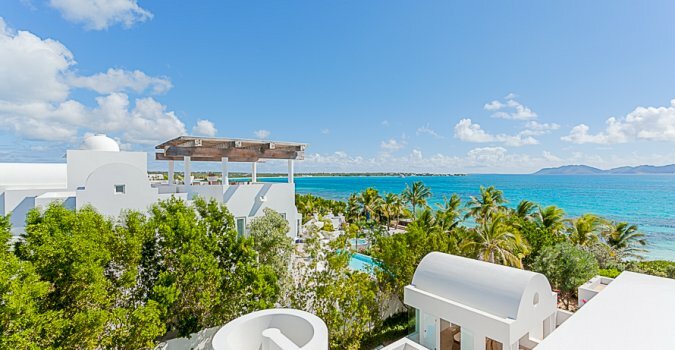 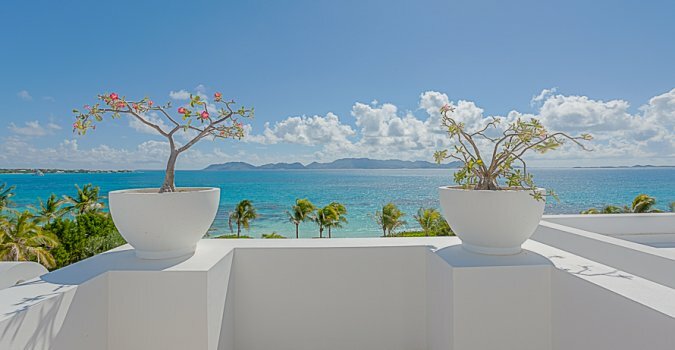 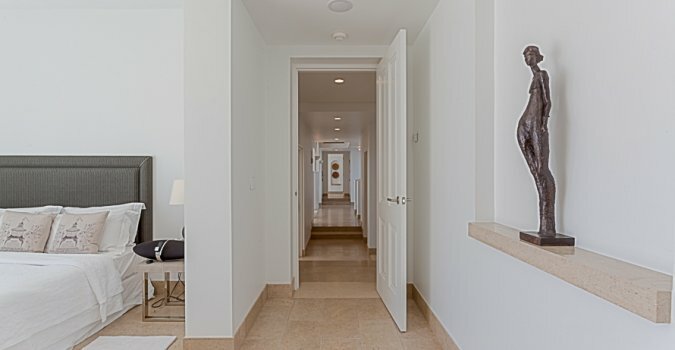 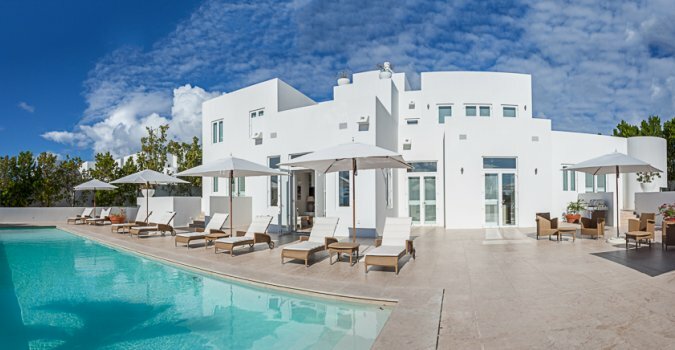 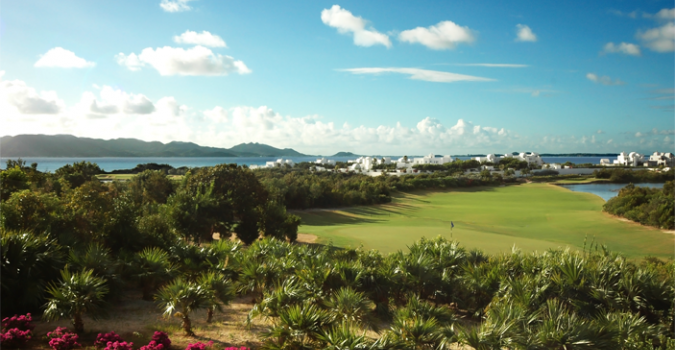 It is also located in a prime location and close to all the major resorts, world class top restaurants, the newly opened 'Viceroy' Resort and all other places that make Anguilla a truly unique and superb place to live and vacation. 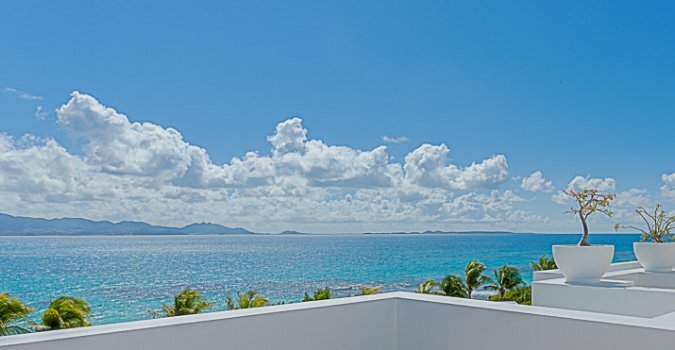 Please add 10% Tax and 10% Service to all daily rates PLUS THE GOVERNMENT MARKETING FEE OF $1USD PER NIGHT PER PERSON..
All rates are subject to change without notice. 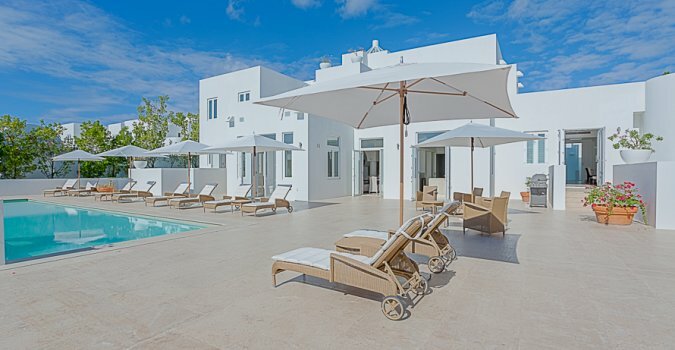 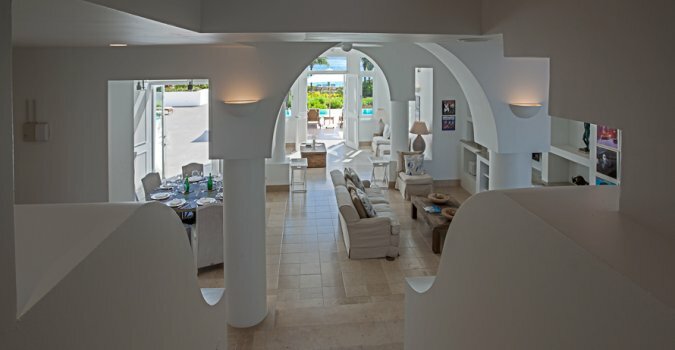 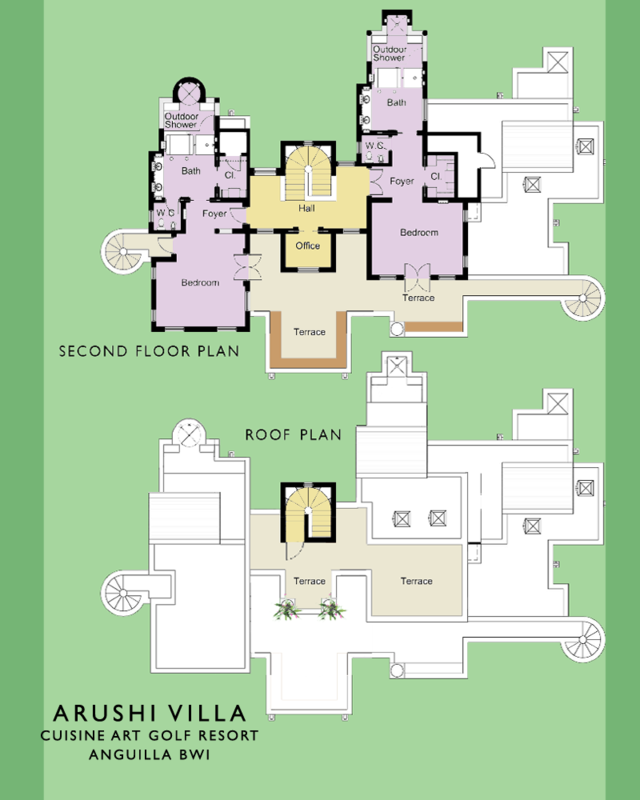 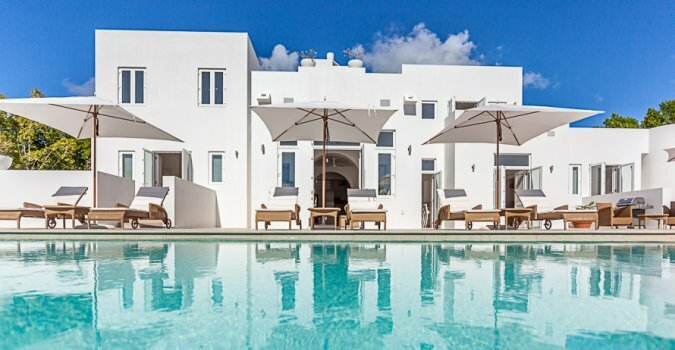 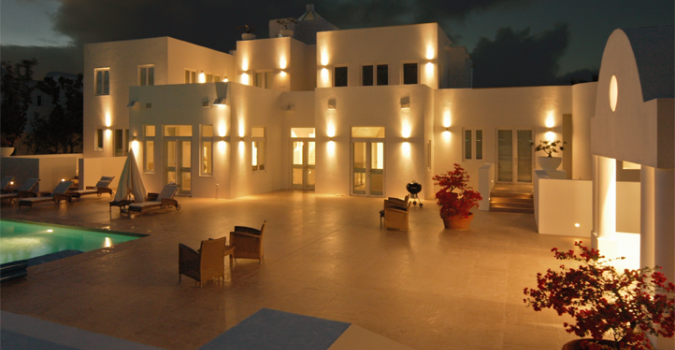 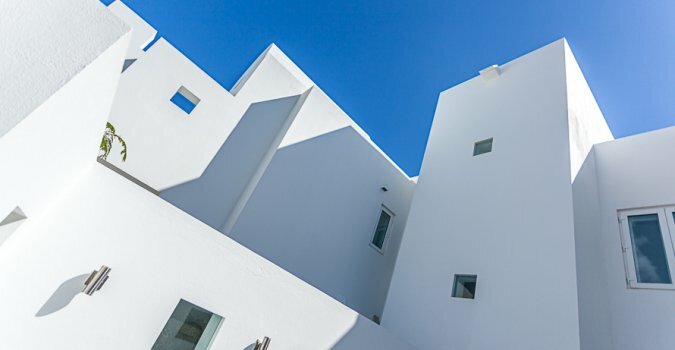 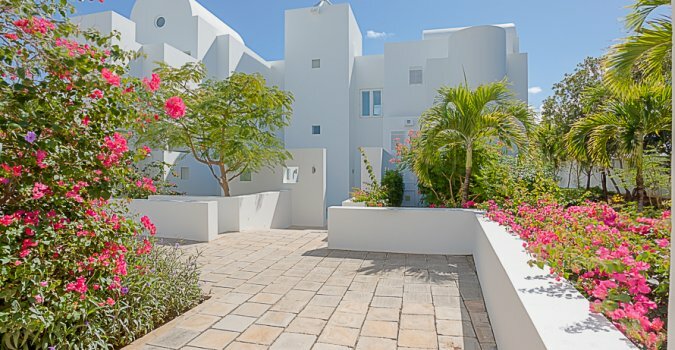 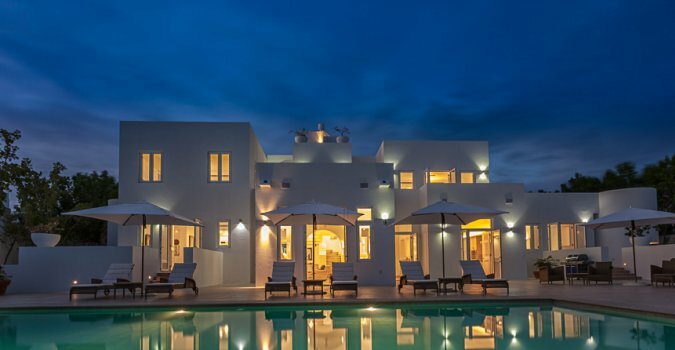 All rates include exclusive use of the villas, their grounds and facilities and full service of the staff.Reservations are required to be secured by a 50% deposit within 7 days after making a reservation. 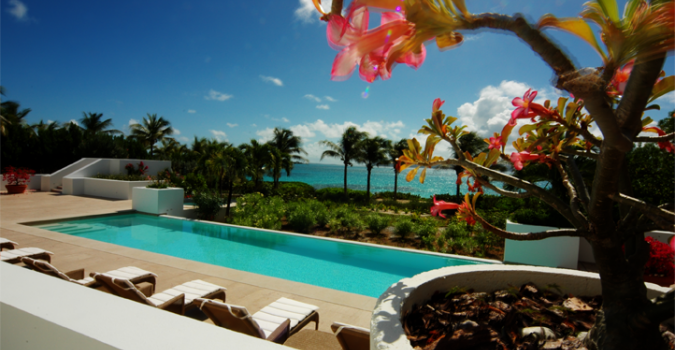 The balance is due 60 days prior to guests’ arrival. 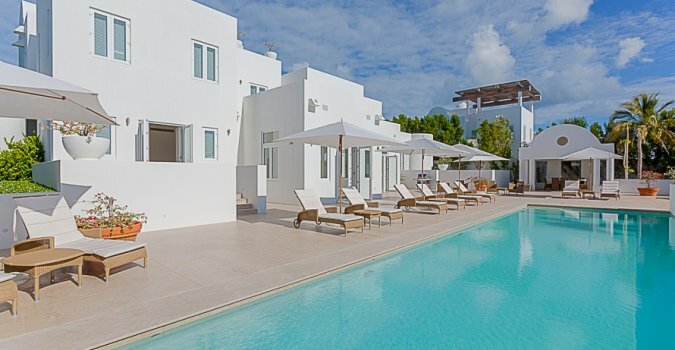 If cancellation is made within 60 days of guests arrival no deposit monies received will be refunded. 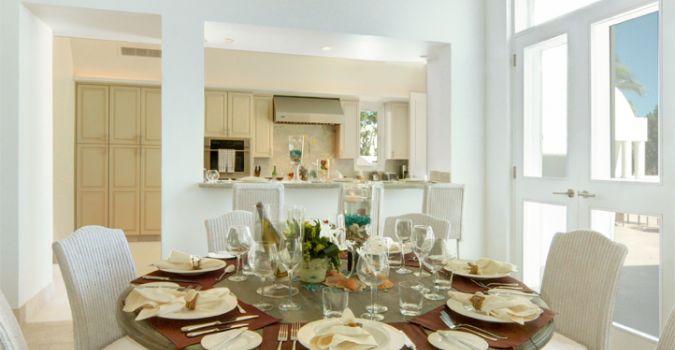 For reservations in the Holiday Season, the final balance is due by September 1st. 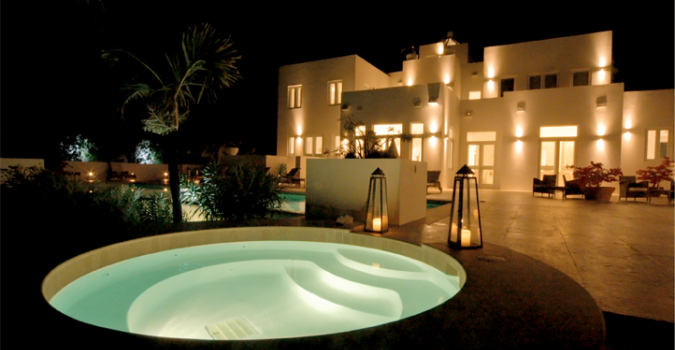 There after, all monies are non-refundable. 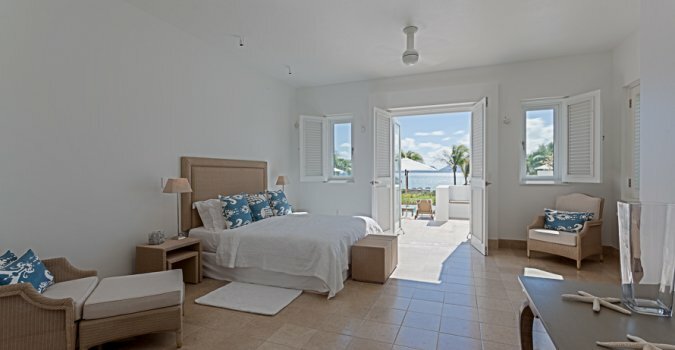 Deposits are refundable in full (less 10% administration fee) if written notice of cancellation is received by the Management Company in writing at least 60 days prior to the guests scheduled date of arrival. 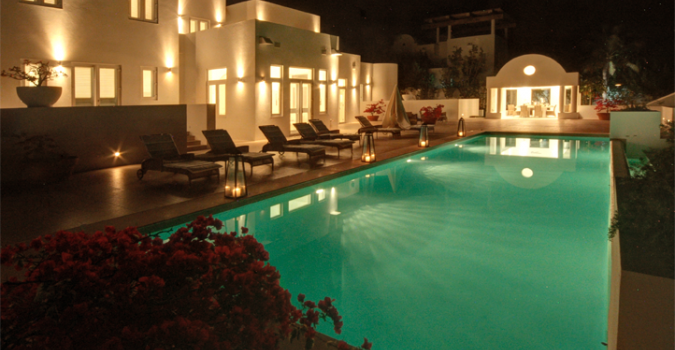 The Management Company reserves the right to cancel the booking if payment is not received by the due dates listed. 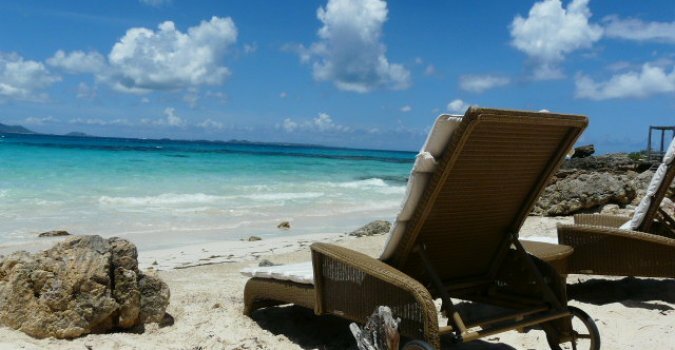 There will be no refunds made for no-shows, late arrivals, early departures or weather related problems – Please take out travel insurance so as to avoid those unforeseen moments.